You will be warmly welcomed, and made to feel at home! If you’ve ever gone to a social event where you didn’t know anyone, you know how uncomfortable that can make you feel. 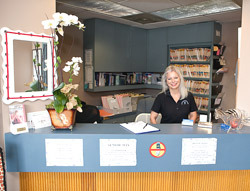 Our goal at Active Care Chiropractic is to eliminate every shred of apprehension and make you feel at home. Since chiropractic care involves a series of visits, with each one building on the ones before, it’s important that our relationship can go the distance. We’ve found that one of the best ways to have successful patient relationships is to explain everything in advance. No surprises! The more you understand who we are, what we do and why we do it, the better results you’ll enjoy. It’s as simple as that. So, check us out here. Poke around. Get to know us. Then, contact us to make an appointment so we can get to know you.